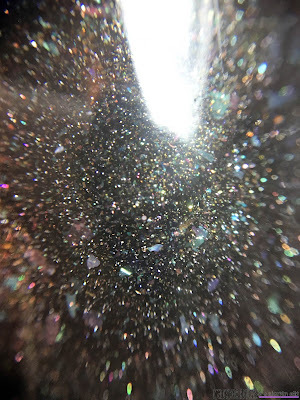 In case you haven't been paying attention to the le Polish Lovelies group the past two weeks, the maker of le Polish teamed up with 12 different bloggers to create 12 different polishes. I will have the other 11 linked at the end, but this is the final collab! 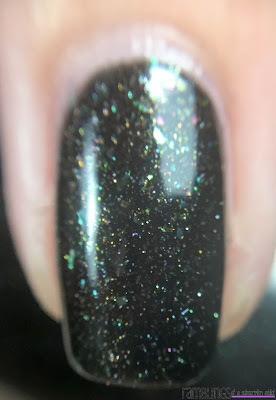 Of course I couldn't say no to such a sweet maker and I was so excited to create a polish with her! My polish is inspired by the Lights of Life (a local college that puts on this spectacular full-campus Christmas light setup each year that you drive through the campus and see all of their lights) and specifically this picture. My husband and I go every year, sometimes a few times each year, to just spend time together and look at all of their amazing lights. Going to look at Christmas lights is something we both did prior to dating/marrying so it's become something we still do now that we are together. Important information: All 12 polishes will be available on November 25th at midnight EST only on le Polish. Each polish will be $10 and will only be available in full size. 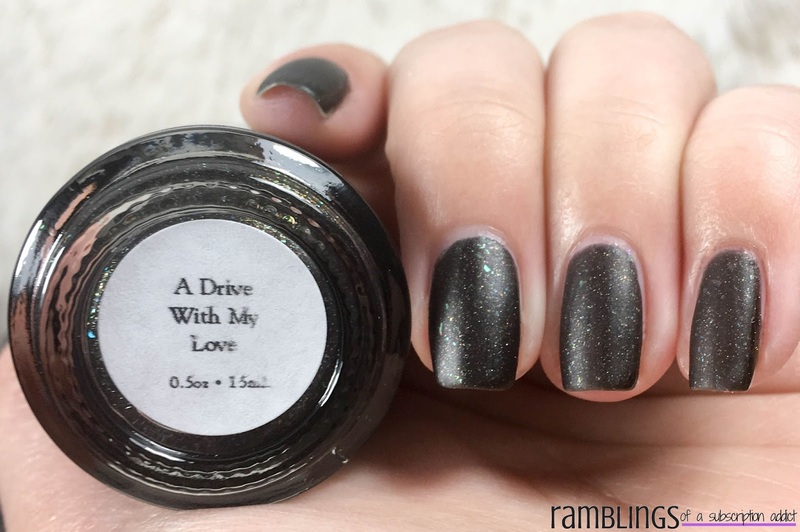 A Drive With My Love is a black jelly with green, red, and gold flakies and shimmer. I may be biased, but I love this polish. It makes me so thrilled to see such a gorgeous polish and be reminded of just how much I love the season and the meaning behind it. 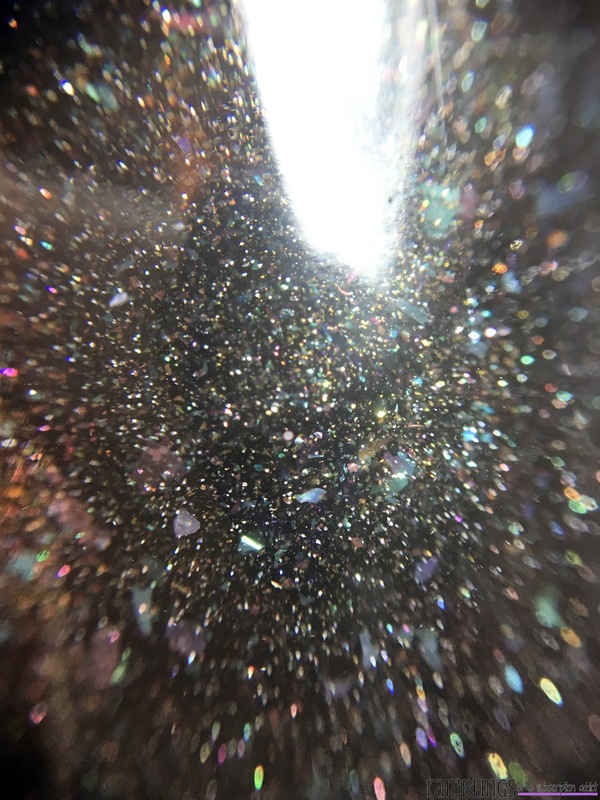 I love how all of the microglitters and flakes reflect just a bit of light, when you move your fingers they really reflect and look just like twinkling lights. 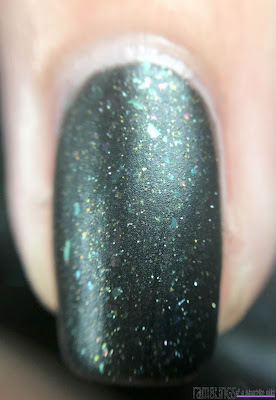 Matte, the iridescent shards/flakes are more evident from further away. I don't know which one I like more, I really just want to wear it both ways at the same time. A Drive With My Love applied easily, I used two coats and it was opaque. I didn't find there being very much texture, just the smallest amount and it wouldn't have been noticeable if I weren't really checking for it. It dried semi matte so a glossy or matte top coat is recommended for your tastes. What did you think of this polish and the entire idea? 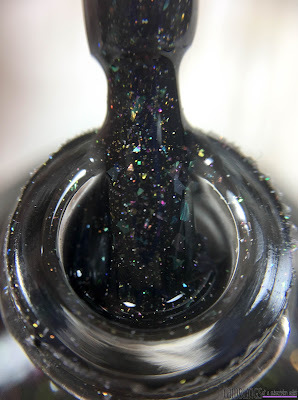 Make sure to let me know and check out the other 11 polishes!